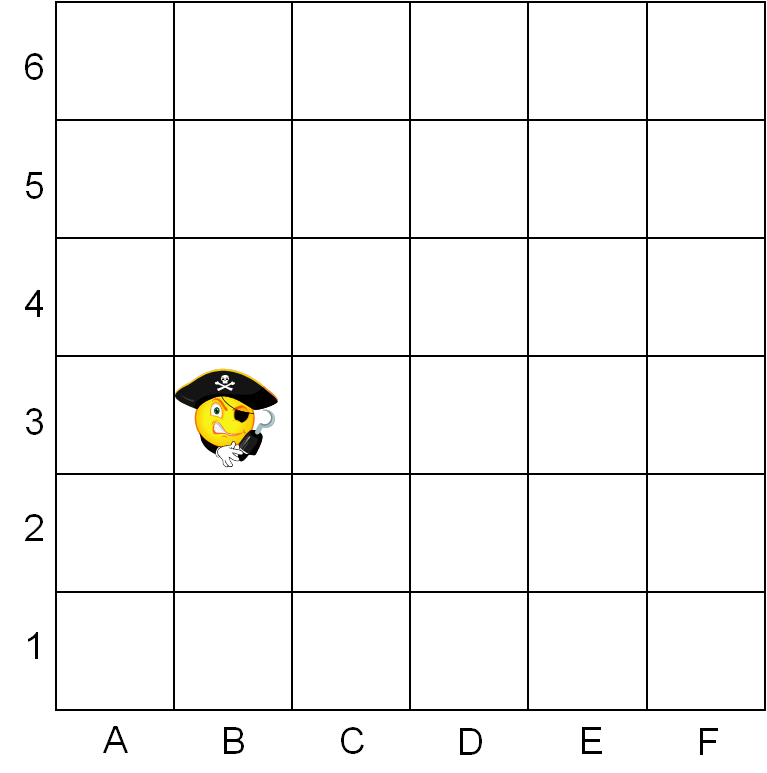 In this worksheet, students use a grid and follow simple instructions relating to position, direction and movement to find the pirate's treasure! 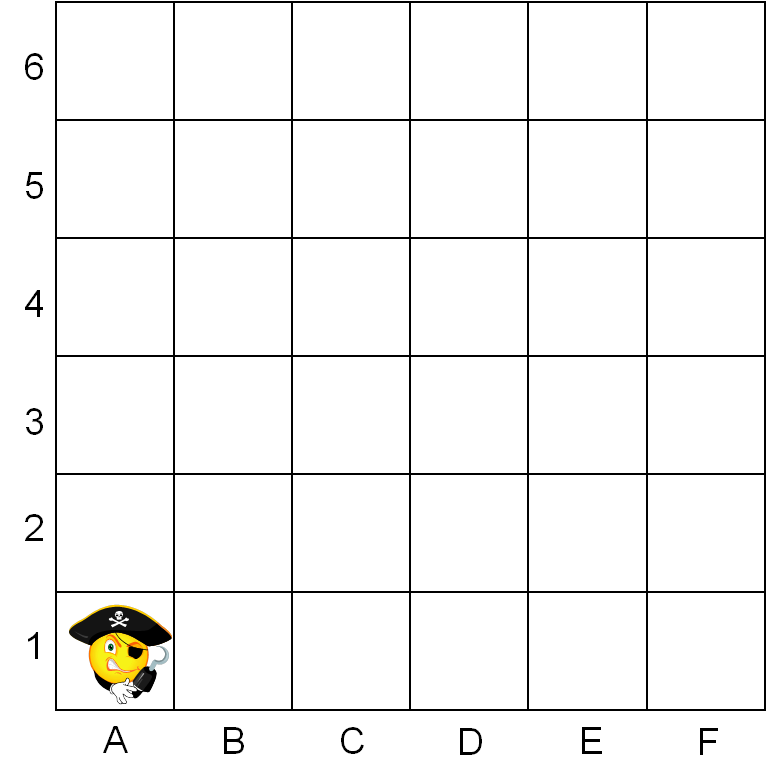 In this worksheet, you must help Pirate Pete find the treasure by following simple instructions. Pirate Pete is at B3. 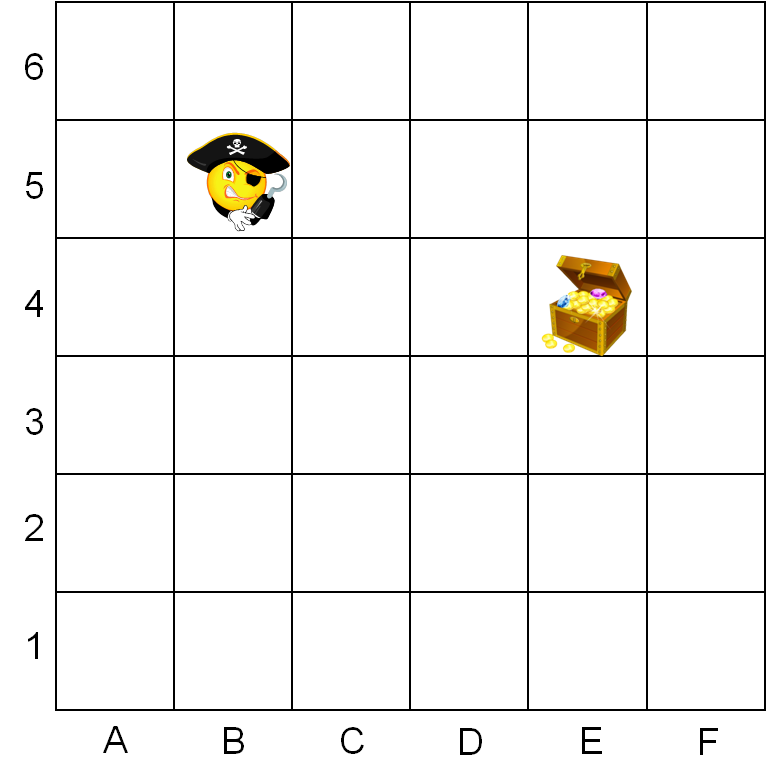 To find the treasure, he must move 3 squares to the right and 2 squares down. Always remember to write the letter first, followed by the number. To find the treasure, he must move 3 squares to the right and 2 squares up. Don't forget to write the letter first and then the number. 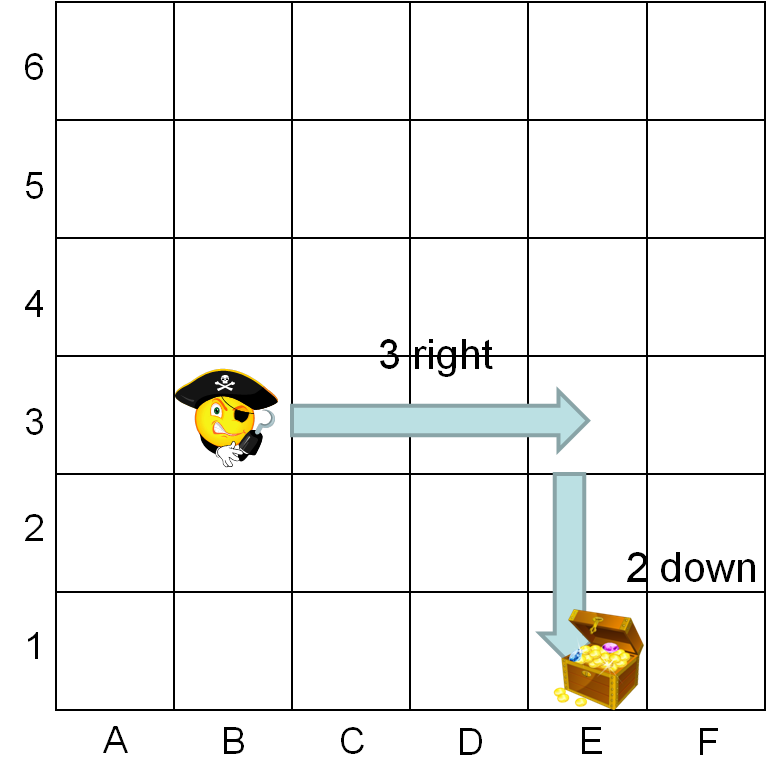 To find the treasure, he must move 2 squares to the right and 1 square up. To find the treasure, he must move 1 square to the left and 3 squares up. To find the treasure, he must move 2 squares down. Pirate Pete is at A1. To find the treasure, he must move right 2 squares and 4 squares up. 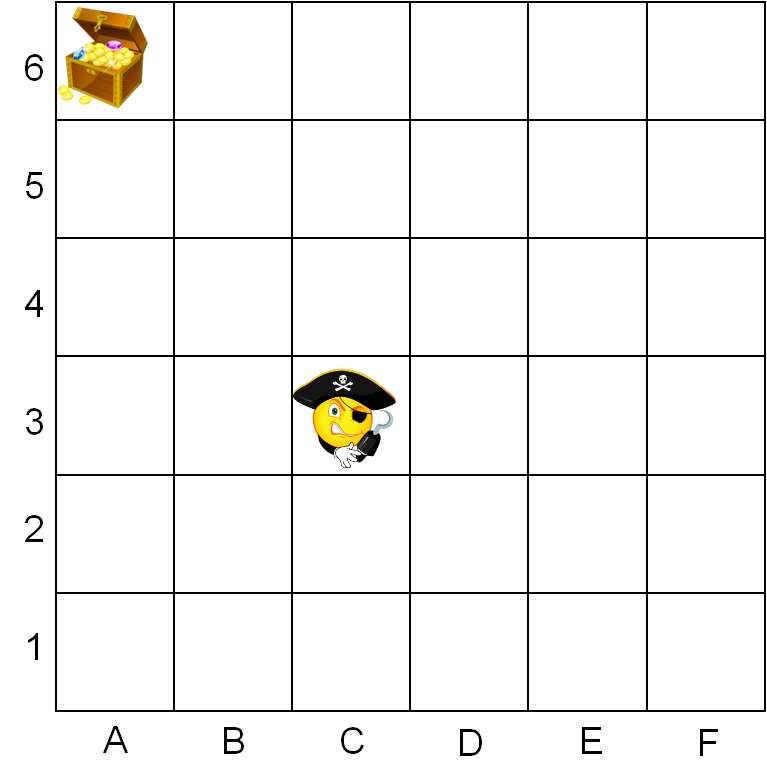 To find the treasure, he must move right 5 squares and 2 squares up. To find the treasure, he must move right 2 squares and 5 squares up. Don't forget to write the letter first (remember to write the letter in capitals) and then the number. Give Pirate Pete instructions to find the treasure.